Question: Is BG Blue the same as his Hearts and Arrows just with fluorescence? Would they be in his H&A if no fluorescence? Are your VS2 – SI1 diamonds always "eye clean"? 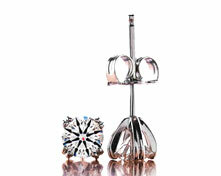 Does clarity really matter on round diamonds smaller than 1 carat? 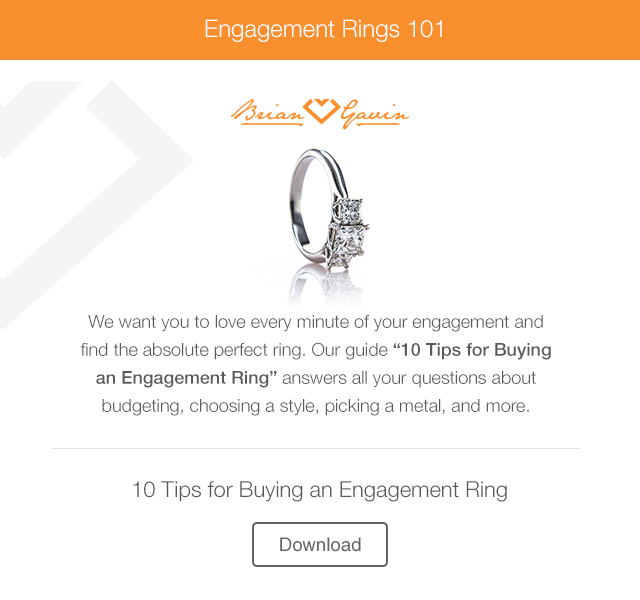 Platinum setting what is the lowest color that Brian recommends? 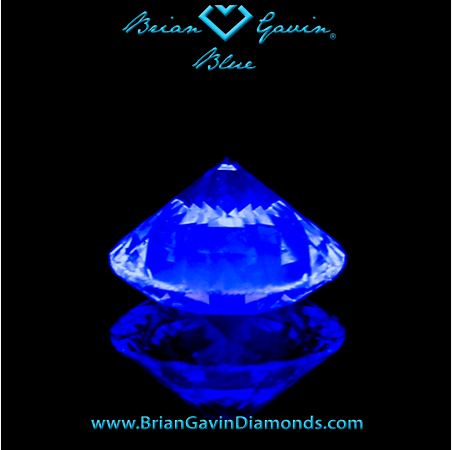 – Jason C.
The primary distinction between the diamonds featured within the Brian Gavin Blue collection and those featured in the Brian Gavin Signature collection of round brilliant ideal cut diamonds, is that the diamonds selected for BGD Blue exhibit medium to very strong blue fluorescence. Fluorescence within diamonds comes in a variety of colors, but the most desirable color of fluorescence is blue. Generally speaking, the presence of blue fluorescence within white diamonds is only visible when the diamond is exposed to black light, at which point the diamond will exhibit this beautiful neon blue color, as is visible in the photograph of this 1.087 carat, I-color, SI-1 clarity, Brian Gavin Blue round brilliant cut diamond which is pictured above. The photograph was taken in a completely dark room, while the diamond was being subjected to black light. Under normal lighting circumstances, this medium blue fluorescent diamond faces up bright and white. It is generally agreed upon within the gemological community, that blue fluorescence improves the color of diamonds by offsetting any yellow tones which may be present. For example, if you were to compare two I-color diamonds side-by-side under the controlled lighting of a GIA Diamond Light in laboratory conditions, the I-color diamond with medium to very strong blue fluorescence would likely appear to be a hint whiter than the I-color diamond without fluorescence. For this reason, blue fluorescence within diamonds can be a really good thing, especially if the diamonds are warmer in tone such as those in the J-color and lower range. However for every positive effect, there is often the potential for a negative impact, it’s the whole Ying Yang thing… and in the case of diamonds with blue fluorescence, there is the potential for the fluorescence to make the diamond look “over blue” when the diamond is exposed to light sources which contain high levels of ultraviolet light, such as direct sunlight. When the fluorescent molecules within a diamond are exposed to strong UV light sources, they glow blue; when there are extremely high levels of fluorescence within a diamond, the molecules can be excited by sunlight and the diamond might exhibit a slight blue hue, in extreme cases the diamond might appear to be cloudy or foggy in these conditions, but look perfectly normal in other lighting scenarios. 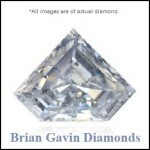 According to the Gemological Institute of America (GIA) this condition exists in less than 2% of gem quality diamonds, but it is something which Brian Gavin takes into account while personally evaluating every diamond that is selected for the Brian Gavin Blue collection of diamonds with blue fluorescence. 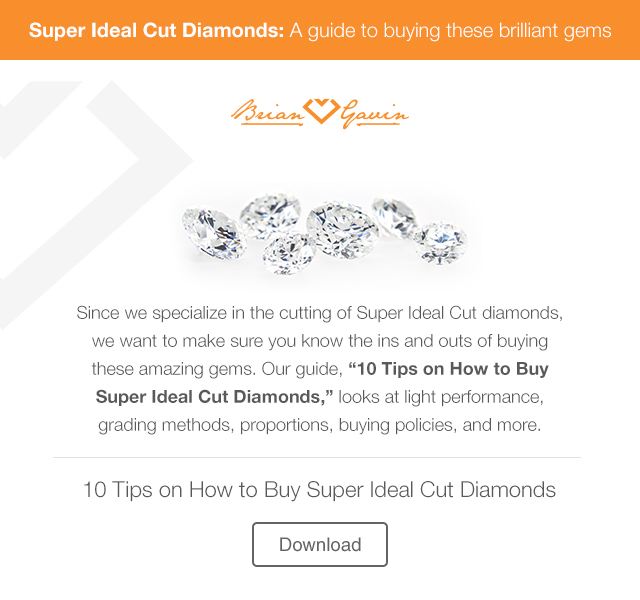 One of the requirements for Brian Gavin Signature round ideal cut diamonds is that they exhibit a crisp and complete pattern of hearts and arrows, which requires the diamond to be cut to an extremely high level of optical symmetry that exceeds the requirements set forth for the AGS Ideal-0 or GIA Excellent cut ratings. Only a handful of diamond cutters possess the experience and skill required to produce diamonds of the cut quality necessary to produce a crisp and complete pattern of hearts and arrows, although many diamonds will exhibit some sort of pattern of hearts and arrows simply because part of the pattern is created by the standard facet structure of a round brilliant cut diamond. However these patterns of hearts and arrows will often look more like rabbit ears and arrows than hearts and arrows, and the hearts will vary in size and shape. It is also common to see irregular spacing between the hearts, or for the tips of the hearts to bend one way or the other, and for the tips of the hearts to bleed into the arrowheads located beneath them, etc. 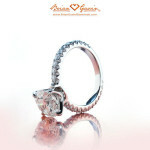 Brian Gavin Signature Hearts and Arrows round ideal cut diamonds are specifically designed and cut to exhibit a crisp and complete pattern of hearts and arrows which are even in size, shape and alignment. It requires extremely precise indexing of the facets, and they must be consistent in size and shape for every facet contained in each section, and they must be precisely aligned from top to bottom and across the diamond, the facet pattern becomes a kind of puzzle which must be perfectly crafted from the perspective of 360 degrees, all the way around the diamond. Another requirement for diamonds featured in the Brian Gavin Signature collection of round ideal cut diamonds is that they have a fluorescence rating of negligible to faint blue, which is essentially nothing more than an identifying characteristic at that level of fluorescence. So the diamonds that we produce which exhibit medium to very strong blue fluorescence cannot be placed within the Brian Gavin Signature collection even if they exhibit a crisp and complete pattern of hearts and arrows. We do not photograph the hearts and arrows patterns displayed by Brian Gavin Blue round ideal cut diamonds because the primary selling feature for diamonds contained within that collection is the blue fluorescence. 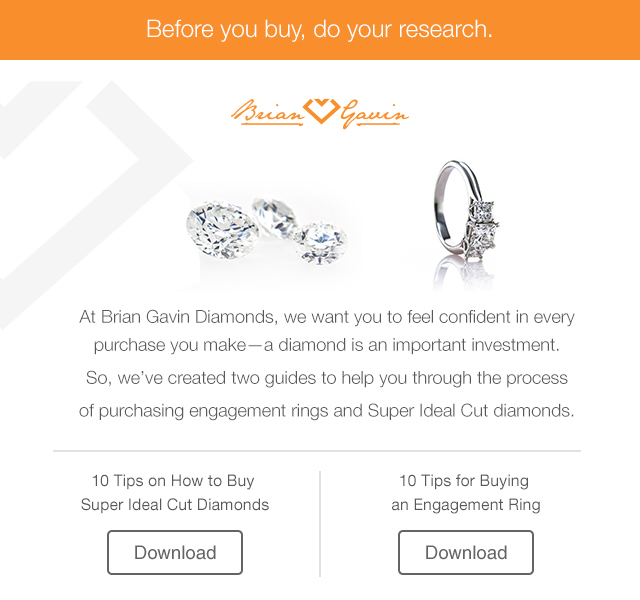 However these diamonds are produced by the same diamond cutters, on the same production line as the diamonds featured in the Brian Gavin Signature collection of round brilliant ideal cut diamonds, and as such it is likely that they exhibit a very nice pattern of hearts and arrows… they are simply not marketed as such. Coming 2/4 – Are your VS2 – SI1 diamonds always "eye clean"? 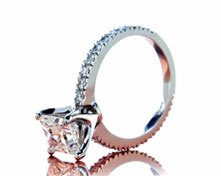 Coming 2/5 – Platinum setting what is the lowest color that Brian recommends? 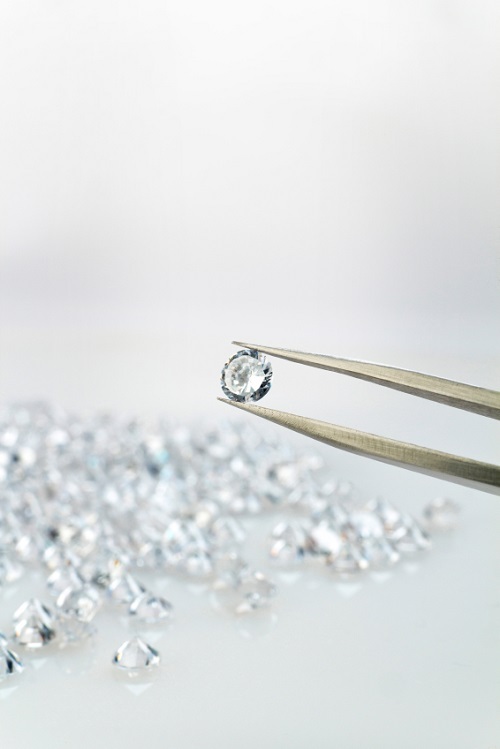 Coming 2/6 – Does clarity really matter on round diamonds smaller than 1 carat? Are “Brian Gavin Blue” Diamonds actually blue? What is the effect of very strong blue fluorescence in H-color diamond? This entry was written by Danny, posted on February 3 at 12:06 pm, filed under Diamond Education. Bookmark the permalink. Follow any comments here with the RSS feed for this post. Post a comment or leave a trackback: Trackback URL. Thanks for this explanation, as someone who is new to the market this was an excellent comparison. I look forward to reading the next few as I take the plunge towards getting a ring from BG.